Do you want to have a good experience with your lovely pet during a trip? 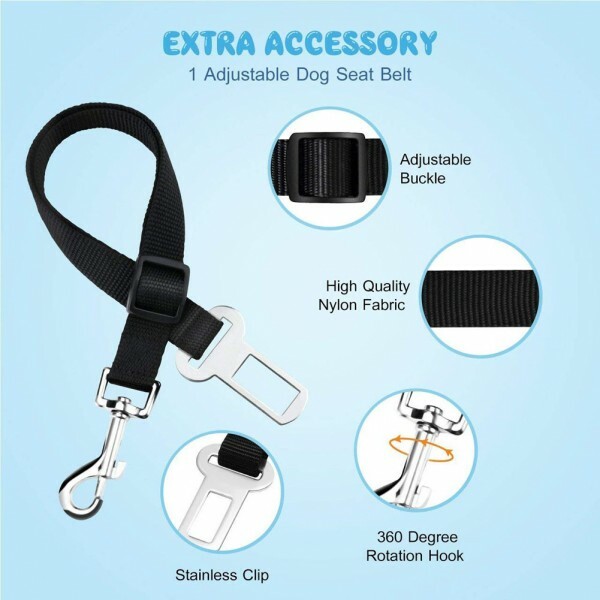 Choose our pet car seat cover, get a better Trip! We care about your car, your pet, and most of all - YOU. So we design the the cover with the most care for your safety. 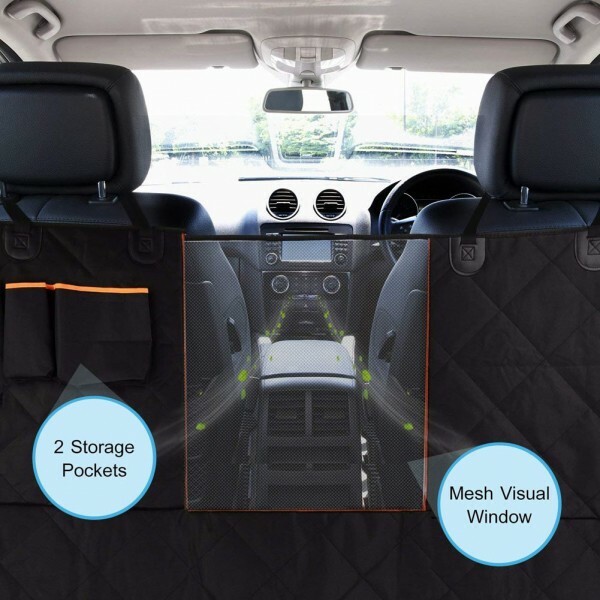 Breathable Viewing Windows & Storage Pocket Mesh window barrier makes you and your pup can see each other and let air through the hammock to reduce your dog anxiety and increase driving security. 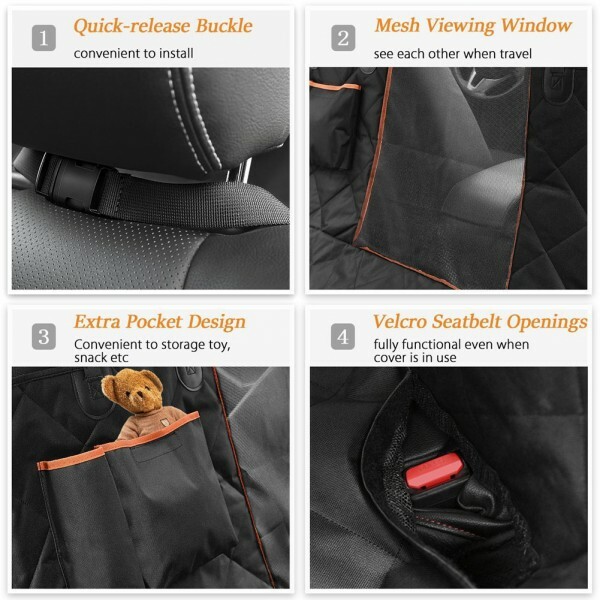 Storage pocket is perfect to store pet food, rope, toy and other widgets, keep the tidy inside your car. With Side Flaps Side flaps makes it easier for your dog to get in or out of car, it can also protect your car door from scratch & hair. 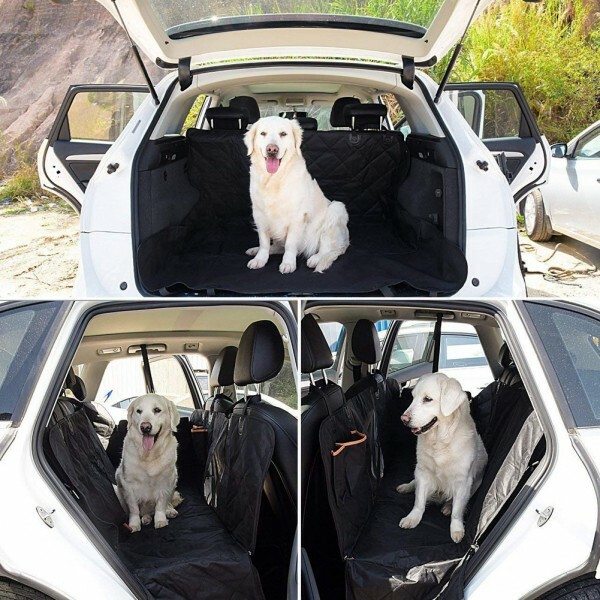 Non-slip and Waterproof This dog car hammock protects your car seat from pet hair, mud and water. 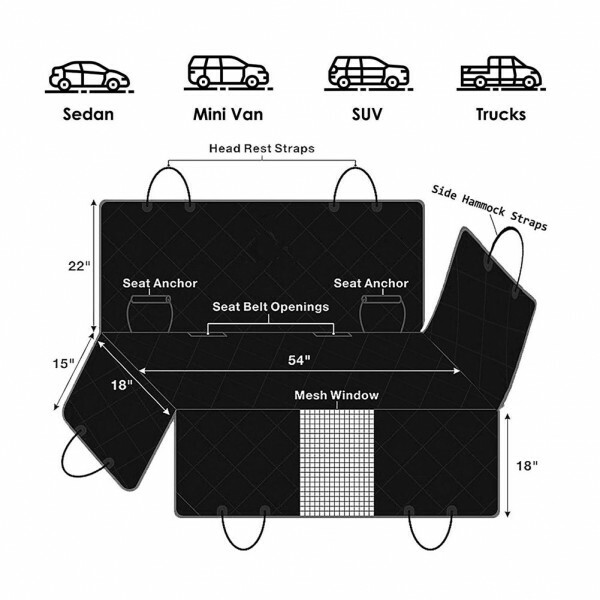 Our cover's dual seat anchors and heavy duty non-slip rubber back secure your cover down so that it does not move. Quick Install and Clean Install takes less than 1 minute thanks to the quick release head rest buckles. Wipe off drool effortlessly and vacuum hair easily with no need to remove the cover from the car. Note 1. New product may have an odor due to the material, it is best to clean and soak it before first use. To protect your product, it is not advisable for machine wash. 2. 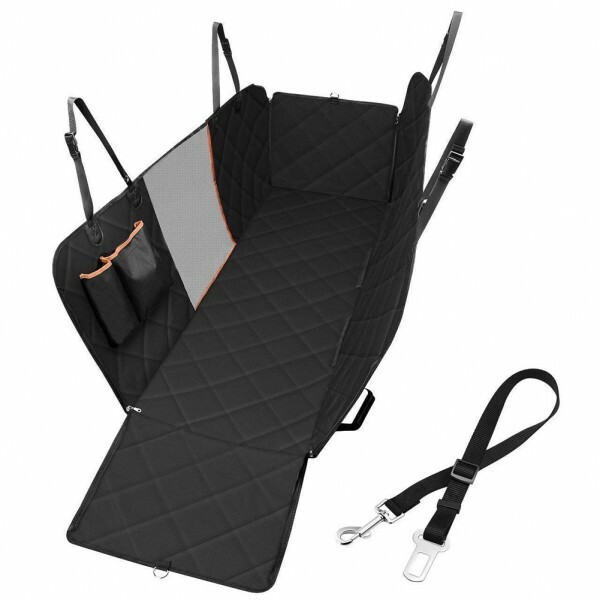 Please measure the size of your car seat to make sure the pet seat cover fit your car before place orders. 3. To protect the mesh viewing window, Please try to avoid the dog's paw catching it. 4. 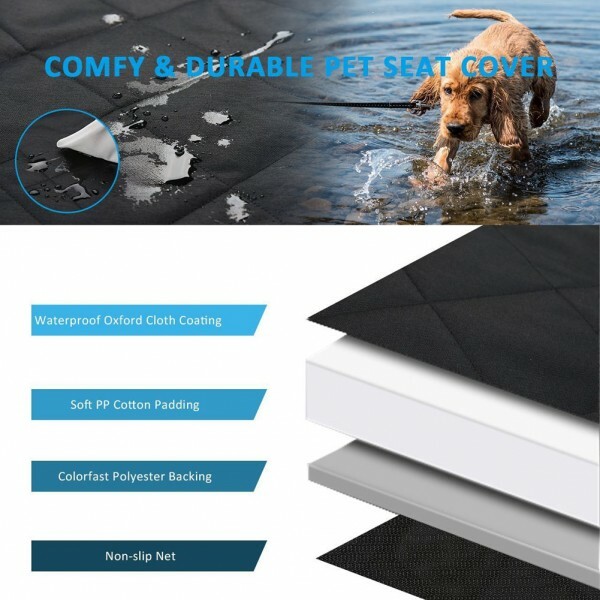 Please note if your dogs are over 80 pounds need to be used carefully, do not let the dog bite the seat cover and run around. Product is as described. I am happy with it. Quality material, happy with purchase, would recommend.